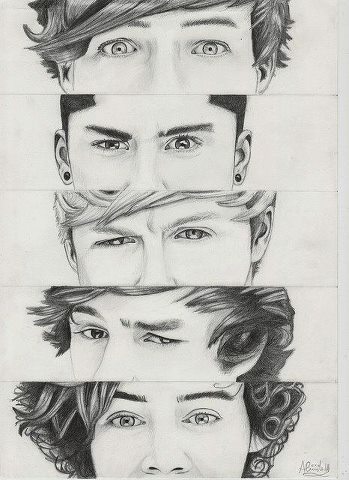 Cool pencil drawing. . Wallpaper and background images in the 원디렉션 club tagged: ♥ random one one direction tumblr direction facebook 1d. This 원디렉션 fan art might contain 초상화, 얼굴, 근접 촬영, 얼굴 만, 세로, and 헤드샷. A One Direction 팬 Must-Read! Prefence: He calms 당신 down.